Find all assignment links, instructions and due dates from the Course Schedule. All completed assignments must be submitted to Blackboard to receive credit. As noted in the assignment details, your final collage should be publishable outside of Academia. This is true of all of our major assignments in COM210. That means that all images and other media should either be created by you or shared under a free-to-remix license like a Creative Commons license. The exceptions to this are any images that you have written permission to use from the copyright holder. Please thoroughly review our copyright readings to get a better understanding of the rationale for the Creative Commons license. Make sure to choose the appropriate license type from the “Any license” dropdown on the search results page. All types listed other than “Any license” are types of Creative Commons or Public Domain. On any image, the specific license restrictions are listed below the photo, with the license type linking to additional information about what uses are authorized. Includes thousands of worldwide images licensed under Creative Commons or verified to be in the Public Domain. More than 400,000 searchable stock images, textures and abstract graphics contributed by users around the world. 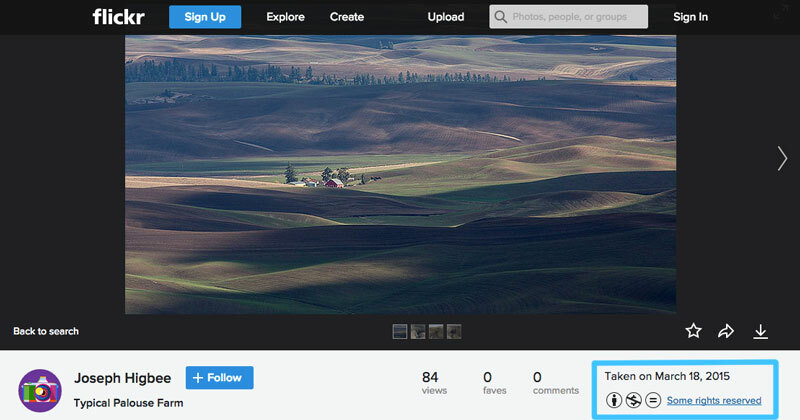 More than 350,000 stock images, most of them available to download at high-resolution. Access to the California State University IMAGE Project, which includes about 100,000 international images organized by content areas and searchable. Photos produced by U.S. Government employees are copyright-free. This site has a selection of links to different government agencies’ collections. 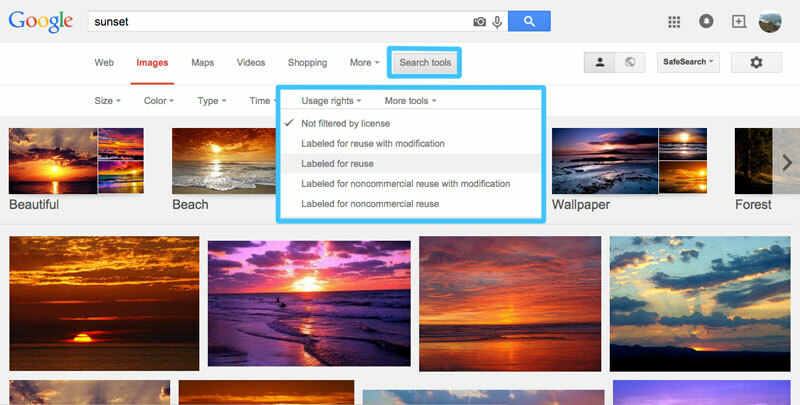 Doing a basic Google search for images is not a good way to find free-to-use material. However, there is a dropdown option under “Search Tools” to filter results by license type. Every week, Shutterstock offers a small number of images for free. Every week varies, so it’s worth seeing what they’ve selected this week.